People are bubbling vortexes of energy. A psychic medium reads your energetic vibration when connecting with your aura, your mood may be impacted by the people you come in contact with if you take on some of their energy, and what you read and watch may change how you feel because you empathically connect with the people involved. Energy isn’t just swirling in and around people, though. Energy is everywhere. In the food we eat, the plants growing around our homes, the clothes we wear, the dishes we use, and every other thing in the world. The energy in us and around us is highly dependent upon interactions with the energy of the other things with which we come in contact. The intention we have in our interactions with other energetic things can not only affect us, but the other energetic thing as well. Intentionality can impact the energy of the food we eat. A tomato plant that is nurtured with loving care is more beautiful and can produce more fruit. Water can be changed at the molecular level into beautiful crystals or dysfunctional masses with words. Rice has been shown to rot when faced with negativity. If we react negatively to the energy around us, it’s almost like a boomerang that comes back to greet us in an unpleasant manner. If we neglect the energy around us, we may find ourselves feeling a bit flat and uninspired. However, if we hold a positive intention – both in our human interactions and our interactions with other things such as our food, water, and other humans, we find our own vibration raises to a more positive, joyful level of interaction. Although I find it beneficial to me and to the world to live a more intentional existence, I don’t want to drag myself down with another item on my ‘to-do’ list, which works at cross purposes of what I want to accomplish. So, like so many things in my life, I believe in setting permanent intentions. I set the permanent intention that I am grateful for the food and beverages I eat and know that everything I ingest will nourish my body. The energy of the food is heightened by my intention. However, this doesn’t give me a pass to ingest food and beverages that I know do not serve my body. I cannot pretend that if I bless the bag of potato chips enough, it will be beneficial to my body. I have to actually make good, high vibration food choices, in concert with my permanent intention. My relationship with food is a complicated one. I love food. I try to make healthy choices. However, in addition to just being a way to nourish my body, I also see food as a reward when I’m happy and also a comfort when I’m unhappy. I don’t like to feel deprived of something I find enjoyable, yet for much of my life the foods that I found most enjoyable were also foods that did not serve my body in the best manner possible. I’ve always craved both sugar and salt. If I were to create a food pyramid that held no consequences, those two staples would be shown predominantly in the foundational row. Luckily, I’ve generally been drawn to more whole food than processed food, and gave up most zero nutritional value “foods” (e.g., soda, candy) years ago. However, I still crave potato chips occasionally and other comfort foods. It is these cravings and my desire to raise my overall energetic vibration that has led me to embark upon a 10-day detox that will begin next week. 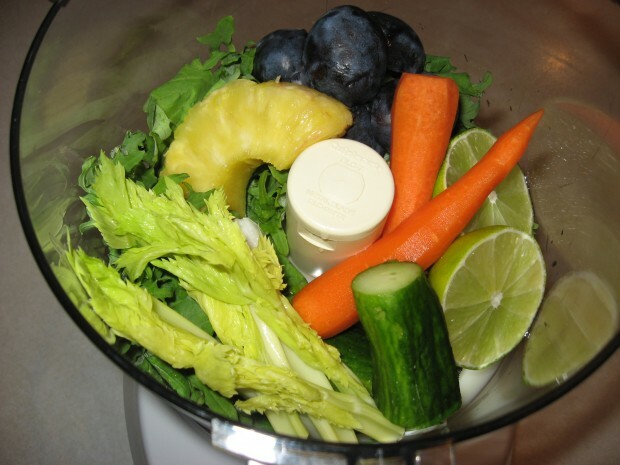 The detox will focus on ingesting high vibration food to detox the body and mind. Many cravings are a matter of biochemistry and may be caused by imbalances in your body. I hold the intention for this upcoming detox to eliminate the cravings that have gotten out of control as of late, so that it is easier for me to get back on track eating nourishing food all of the time, instead of just some of the time. I know through both personal anecdotal evidence and well-researched theories that the healthier my vessel, the higher my overall vibration. The higher my energetic vibration, the easier it is to fight off disease, modulate the energetic ups and downs of the world around me, and to communicate with spirit.